By Keith Cowing on November 30, 2017 11:52 PM. Keith's note: NASA and the SETI Institute are about to complete a competition wherein people get to suggest names for MU69 - the distant body that New Horizons will fly by in January 2019. Among the top choices right now are Chomolungma ཇོ་མོ་གླང་མ and Sagarmatha सगरमाथा - the original Tibetan and Nepali names for Mt. Everest. These names were nominated by someone living in Kathmandu, Nepal. MU69 represents the the most distant world in our solar system that humans will likely visit for another decade or more. As such it represents the acme - the pinnacle - of robotic spacecraft exploration. There are already two features on Pluto named after the first two humans to stand atop Everest/Chomolungma/Sagarmatha - Edmund Hillary and Tenzing Norgay. 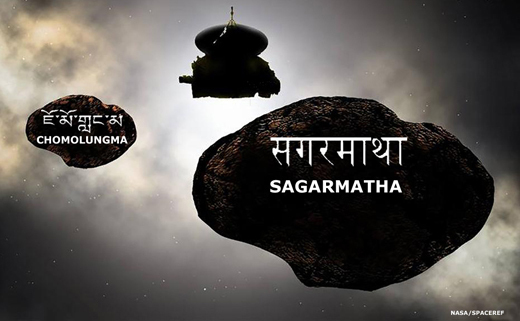 As such, it would be fitting and in keeping with the spirit and adventure to name MU69 (which may be a double object) Chomolungma and/or Sagarmatha. You can visit the naming website at http://www.frontierworlds.org/home and vote for Chomolungma/Sagarmatha (or other choices). The campaign closes at noon Pacific Time (20:00 GMT) on December 1, December 6 2017. By Keith Cowing on November 30, 2017 5:24 PM. By Keith Cowing on November 30, 2017 5:21 PM. "It is encouraging to see more members of the agency's leadership team being named. Jeff's solid financial background will be a tremendous addition as we continue to advance our nation's aeronautic and exploration initiatives." "Many expected DeWit would immediately join the administration after Trump's surprise victory. When that didn't happen, speculation shifted to his running against Sen. Jeff Flake, who had been among the president's most high-profile GOP critics. Flake has since announced he will not seek re-election. A Republic review of the notifications DeWit is required to file with the secretary of state when he leaves Arizona show he spent about 50 days, including weekends, outside the state since early October 2016, about a month before the general election. Those dozen or so trips included Washington, D.C., New York and Trump properties." Is NASA Going To Break The Law By Not Delivering An ISS Transition Plan To Congress? By Keith Cowing on November 29, 2017 2:43 PM. Keith's note: NASA HEOMD AA Bill Gerstenmaier was speaking at the NASA Advicory Council Human Exploration and Operations Committee meeting today. It certainly seems that he has decided that NASA is not going to comply with S.442 - National Aeronautics and Space Administration Transition Authorization Act of 2017 - which is now law. In that law Congress told NASA that they are to deliver a ISS Transition plan no later than 1 December 2017 - this Friday. All indications I get from NASA - and Gerstenmaier's statement - make it clear that there is no plan to be delivered. Per 2017 NASA Transition Auth Act, NASA must submit an ISS Transition report by Dec 1, 2017 (Friday). Was a long disc at NAC/HEO today about how NASA thought about that report. Gerst said it's not a "plan" but "considerations" in order to start a dialogue. "(1) ((NOTE: Coordination.)) 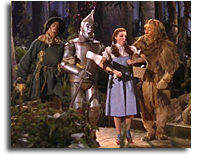 In general.--The Administrator, in coordination with the ISS management entity (as defined in section 2 of the National Aeronautics and Space Administration Transition Authorization Act of 2017), ISS partners, the scientific user community, and the commercial space sector, shall develop a plan to transition in a step-wise approach from the current regime that relies heavily on NASA sponsorship to a regime where NASA could be one of many customers of a low-Earth orbit non-governmental human space flight enterprise. (2) Reports.--Not later than December 1, 2017, and biennially thereafter until 2023, the Administrator shall submit to the Committee on Commerce, Science, and Transportation of the Senate and the Committee on Science, Space, and Technology of the House of Representatives a report that includes--"
Continue reading Is NASA Going To Break The Law By Not Delivering An ISS Transition Plan To Congress?. By Keith Cowing on November 28, 2017 11:36 PM. "We are in our last week of work here at Lake Untersee before heading back to Novo on the 6th. Hope to get in a few more dives for sample collection and imagery beneath the ice, and we have to pull experiments that are ongoing in the lake right now. ... All ok here right now and for the moment our winds are calm; but that will probably change over the the next few hours - maybe we will get lucky and we will miss most of the bad weather forecast for Novo. I am hoping the new met station is up and running but there may be one or two other things we need to do to get it online; once I get confirmation I will let you know and will send you a web link so you can see a daily download of the data. Hopefull it will work. Will check in with you tomorrow with an update." By Keith Cowing on November 28, 2017 11:31 PM. 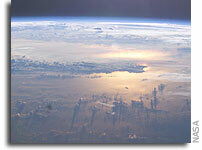 "NASA is boosting cyber to space with benefits for Earth. On Nov. 20, 2017, a selfie snapped from the National Science Foundation's McMurdo Station in Antarctica demonstrated technology that can enable the future interplanetary internet. Called Disruption Tolerant Networking (DTN), the technology is NASA's solution to reliable interplanetary data transmissions when vast distances or alignments of celestial bodies may disrupt communications." By Keith Cowing on November 28, 2017 10:59 PM. 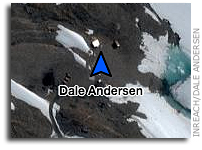 "In late April 2009 I found myself at Everest Base Camp for a month. I was living at 17,600 feet in Nepal 2 miles from China and 2 miles from the highest point on our planet. I was surrounded by the epic majesty of the Himalayas, a thousand people supporting several hundred Type A individuals with a shared intent to summit the mountain and stand in the jet stream. And all of this was enabled by the austere and noble Sherpa people. I was on a mission not unlike a space mission. My team mate was my long-time friend Scott Parazynski, an astronaut. I could just stop there and what is in these sentences would be cool enough. This had all the makings of a Star Trek episode - and I knew it." Keith's note: After posting the two items above, I had to toss this in. There is something about "being there" when it comes to exploration. May 2009. Everest Base Camp. It was -20F or so, I was sick with food poisoning which eventually led to some permanent physical damage that affects me to this day, at 17,600 feet breathing half the oxygen I was designed to breathe, while one friend was standing atop Everest above the sky, while another (who was supposed to be with us) was in his laundry room in New York - all linked by radio and satellite. Another mutual friend was in orbit fixing Hubble. This was one of those life-altering moments - and we all wanted to share it. We still do. NASA used to have a lot of these moments. Now ... not so many. That needs to change. Maybe the new guy will fix that. Someone has to. By Keith Cowing on November 28, 2017 7:39 PM. Keith's note: What is really strange is the fact that NASA gives free promotion/advertising to its contractors yet Congress prohibits NASA from advertising about itself. By Keith Cowing on November 28, 2017 4:10 PM. "The reason for the Meteor-M satellite accident after launching from the Vostochny cosmodrome in the Amurskaya region could be the human factor, a source in the rocket and space industry told Interfax. "According to preliminary data, there was an error in the flight task of the carrier rocket and the Fregat booster block, as a result of which the first impulse was issued in the wrong orientation, so the upper stage together with the satellite entered the atmosphere and fell into the Atlantic Ocean ", the source said." The Meteor-M satellite and its 14 small co-passengers appear to have plunged into the Atlantic after launch. @russianspaceweb reports the Fregat upper stage may have been commanded to fire in the wrong direction. By Keith Cowing on November 28, 2017 4:07 AM. Keith's note: There is a lot of talk these days about yet another pivot in America's civilian space policy. This time it is "back" to the Moon. Mars is not off the agenda - but it is not moving forward either. Personally I think we have unfinished business on the Moon and that creating a vibrant cis-lunar space infrastructure is the best way to enable humans to go to many places in the solar system - including Mars. 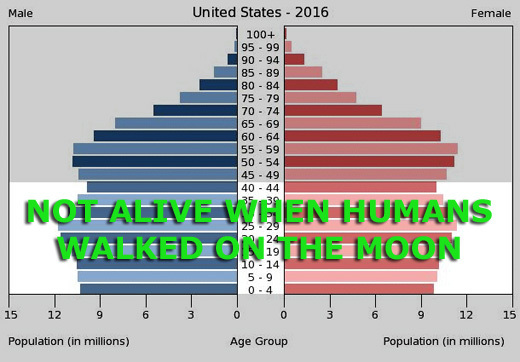 Regardless of your stance on this issue, a common refrain about going back to the Moon - starting with President Obama is that "We've been there before". By Keith Cowing on November 27, 2017 9:04 PM. Keith's note: Rosanna was a former board member of Women in Aerospace and a co-founder of the Space Enterprise Council. By Keith Cowing on November 27, 2017 12:00 AM. "The Moon is scientifically much less diverse and interesting than Mars. For example, no one claims that life could have originated on the Moon - unlike Mars. The technologies needed for landing and living on an airless body like the Moon are quite different from Mars. Lunar technologies will have limited benefit to future Mars exploration. Finally, some claim that the Moon's resources, especially water ice, can be exploited for future exploration. In general, the Moon is extremely dry. There are data from previous missions to suggest that there may be more abundant water ice trapped at the poles of the Moon, but getting there and mining in temperatures nearing absolute zero will prove very challenging and expensive. By comparison, Mars has water in much greater concentrations distributed more broadly across the planet." Keith's note: Former NASA "Mars Czar" and Planetary Society Mars advocate Scott Hubbard clearly thinks that there is no value in going back to the Moon. And he's not afraid to cherry pick facts and skew recent history to make his point. Of course he just thinks that he can proclaim that Mars is the nation's priority (he still thinks that he's the Mars Czar, apparently). Add in the Planetary Society's barely concealed aversion to putting humans on the surface of Mars. It should be quite obvious that the Planetary Society is soon going to be in an adversarial position once a new NASA Administrator is in place and this Administration's pivot toward the Moon becomes more evident. If Hubbard et al have their way everyone but America will be going to the Moon and only robots will ever land on Mars. Oh yes, Mars Czar Scott - you did see this latest research about Mars, water, etc.? Resources to support human activity are abundant - but they are hard to access - everywhere. "The findings published today in Nature Geoscience argue against the presence of enough liquid water for microbial life to thrive at these sites." By Keith Cowing on November 26, 2017 2:30 PM. By Keith Cowing on November 26, 2017 1:26 PM. "I first wrote this for StarTrek's official website in 2002 the day after the "Enterprise" episode "Carbon Creek" first aired. The story was clearly inspired by my friend Homer Hickam's book "Rocket Boys" Well, that episode was on TV last night. 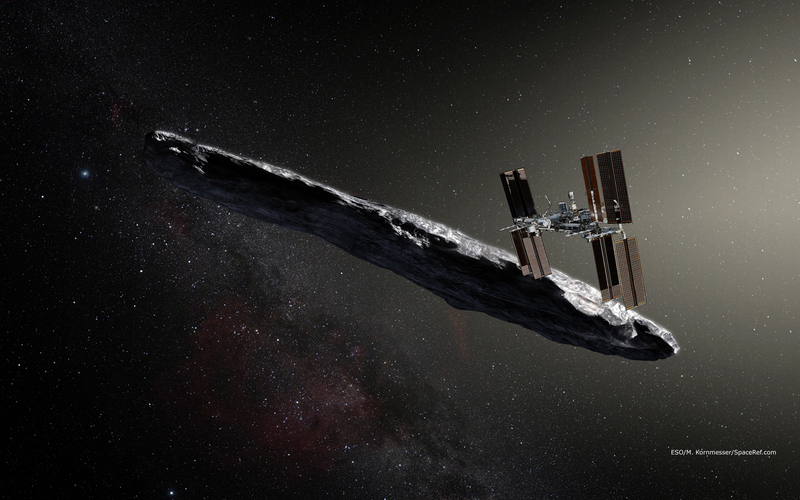 Curiously, after 15 years, and several pivots, NASA seems to be moving back toward the Moon again (which happens to be my favorite destination for human exploration as well as Homer's) and interstellar object 1I/'Oumuamua (previously A/2017 U1) is passing through our solar system - echoes of the plot of yet another Star Trek tale i.e. "Star Trek First Contact". Within - and below - my article are references to thinking that was on everyone's mind as talk of going back to the Moon and on to Mars was on everyone's mind. This was a few months before the loss of Columbia and more than a year before President Bush announced the "Vision for Space Exploration"." By Keith Cowing on November 21, 2017 8:15 PM. "[Tony] Busalacchi, who has twice testified before Bridenstine's House Subcommittee on Space, says he's had two phone calls with Bridenstine since his nomination became public September 1. "He told me he regrets his [2013 House floor] statement in the past, and that he believes CO2 is a greenhouse gas and is contributing to climate change and man is contributing to climate change," Busalacchi says. Is Bridenstine just saying that to get in office? Busalacchi says he's taking Bridenstine at his word. "I see him as pragmatic and not an ideologue," Busalacchi says. "As a congressman he has been standing up for his constituents. It's one thing to be a congressman from Tulsa, it's another to be working for the American people as NASA administrator." 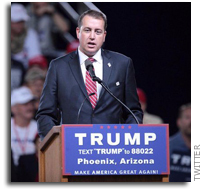 Keith's note: FWIW I think people will be pleasantly surprised by Bridenstine, should he be confirmed as the next Administrator of NASA. By Keith Cowing on November 21, 2017 4:04 PM. Keith's 4:40 pm Update: They fixed it. Continue reading NASA Is Dark In Some Places (Update). By Keith Cowing on November 19, 2017 8:25 PM. "Ninety-eight percent of astronomers and SETI researchers, including myself, think that METI is potentially dangerous, and not a good idea," says Dan Werthimer, a SETI researcher at the University of California at Berkeley. "It's like shouting in a forest before you know if there are tigers, lions, and bears or other dangerous animals there." "[Douglas Vakoch, president of METI] Everyone engaged in SETI is already endorsing transmissions to extraterrestrials through their actions. If we detect a signal from aliens through a SETI program, there's no way to prevent a cacophony of responses from Earth. And these wouldn't be responses to a possibly habitable exoplanet, but to a star system where we know there is intelligent life. There's no way to enforce the SETI protocols that call for consultation before replying. Once the news gets out that we've detected extraterrestrials, anyone with a transmitter can say whatever they want." "8. Response to signals: In the case of the confirmed detection of a signal, signatories to this declaration will not respond without first seeking guidance and consent of a broadly representative international body, such as the United Nations." Keith's note: This is all rather silly. SETI scientists like Werthimer would prefer not to transmit anything to anyone. But they want people to give them millions of dollars to listen for transmissions from other intelligent species. If alien intelligences are similar to us i.e. afraid of other letting civilizations know where they are then they are not going to be transmitting either. If that is true then Werthimer et al are wasting a lot of money listening for signals that are not going to be there - if you follow their self-canceling logic, that is. Also, Wetheimer claims his statements are shared by "Ninety-eight percent of astronomers and SETI researchers". Really - he has polled all astronomers and SETI researchers - everywhere? Reference, please. We have been announcing our presence to alien civilizations in one form or another for nearly a century via radio. The bulk of these transmissions have not been done by governments. As such the 2010 statement by IAA (which is also utterly non-binding) would have little effect on stoping anyone with money and a big dish from saying "hello". On the other hand, just because someone can do something does not mean that they should. 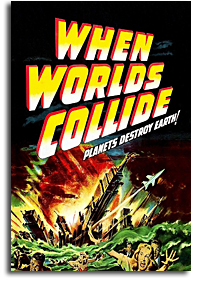 This topic needs a broader airing - not just food fights in the news between dueling METI/SETI sandboxes. Both the SETI and METI tribes are myopic, and somewhat inbred, by definition. Their pronouncements from on high should not be the final say on the way that humanity deals with this topic. There are 6 billion other humans who should have a say. By Keith Cowing on November 19, 2017 6:38 PM. "On Nov. 15, 2017, the National Science Foundation (NSF) signed its Record of Decision for the Arecibo Observatory in Puerto Rico. This important step concludes the agency's decision-making process with respect to the general path forward for facility operations in a budget-constrained environment and provides the basis for a future decision regarding a new collaborator." By Keith Cowing on November 16, 2017 9:07 PM. Keith's 16 Nov update: Just the other day I posted some new video (below) of the latest cool droid from Boston Dynamics. Now they have simply outdone themselves. Compare NASA's tethered/hoisted R5 make stiff dance moves and then watch Boston Dynamics' untethered and nimble Atlas DOING A BACKFLIP. NASA really needs to put their own bot research on the shelf and see what the private sector can offer. Keith's 14 Nov note: NASA poured lots of money into its R5 robot that cannot walk unless it is on a hoist and controlled by a human. It is always broken. So they gave away these broken droids to several universities to see if the students could salvage something useful. Meanwhile, Boston Dynamics continues to make astonishing progress on autonomous robots. Imagine if you had something like this on Mars as part of a sample return mission. This droid, equipped with other features that Boston Dynamics has mastered, would allow access to places that rovers cannot go and has dexterity unmatched by anything NASA has ever built. And I am sure you could buy a bunch of them for vastly less than it would take NASA to develop them. Continue reading Hey NASA: These Are The Droids You Should Be Looking For. By Keith Cowing on November 13, 2017 4:54 PM. "Completion of Dream Chaser's free flight test on Nov. 11, 2017, was a major milestone under a space act agreement with NASA's Commercial Crew Program. NASA selected Sierra Nevada Corp., along with Orbital ATK and SpaceX, for the agency's second commercial resupply contracts to deliver critical science, research and technology demonstrations to the International Space Station from 2019 to 2024." By Keith Cowing on November 12, 2017 2:36 PM. "The Antares rocket launched the Cygnus spacecraft loaded with approximately 7,400 pounds (3,350 kilograms) of cargo to the crew of six who are aboard the space station. Following an approximate nine-minute ascent, the "S.S. Gene Cernan" Cygnus spacecraft, named in honor of the late astronaut and the last man to leave the moon, was successfully deployed into orbit. Orbital ATK's engineering team confirmed reliable communications have been established and the vehicle's solar arrays are fully deployed, providing the necessary electrical power to operate the spacecraft." By Keith Cowing on November 9, 2017 9:03 PM. By Keith Cowing on November 9, 2017 5:03 PM. "Back in July, (alleged) former Central Intelligence Agency officer and one-time Reform Party presidential nominee Robert David Steele appeared on Alex Jones' InfoWars to voice a pet canard: he claims that the National Aeronautics and Space Administration had a colony of child slaves on Mars. The Daily Beast reached out to NASA to respond. 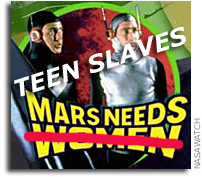 The agency confirmed with barely concealed irritation that it does not, in fact, have a colony of child slaves on Mars." Keith's note: I was just interviewed by BBC Live at Five about this nonsense. Audio below. By Keith Cowing on November 9, 2017 9:31 AM. "The U.S. House Committee on Science, Space, and Technology will hold a Subcommittee on Space hearing titled, An Update on NASA Exploration Systems Development. The purpose of the hearing is to examine the development of the Space Launch System, Orion Crew Vehicle and the associated ground systems." By Keith Cowing on November 8, 2017 5:04 PM. 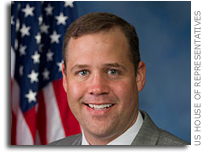 "The Senate Commerce, Science, and Transportation Committee approved the nomination of Rep. Jim Bridenstine (R-OK) to be NASA Administrator this morning on a party-line vote. The committee also approved Neil Jacobs to be Assistant Secretary of Commerce for Environmental Observation and Prediction on a voice vote. The nominations next will go to the full Senate for a vote. Dates have not been announced." By Keith Cowing on November 8, 2017 3:30 PM. Keith's note: James R. (J.R.) Thompson died on Tuesday. (bio) "Thompson became Deputy Administrator of NASA in 1989. Beforehand, he had served as director of the National Aeronautics and Space Administration's Marshall Space Flight Center in Huntsville, Alabama. He had assumed his position at Marshall on September 29, 1986, after having served three years as deputy director for technical operations at Princeton University's Plasma Physics Laboratory in Princeton, New Jersey. From March to June of 1986, he was vice-chair of the NASA task force inquiring into the cause of the Space Shuttle Challenger accident. In that capacity, he headed the day-to-day operations of the 51-L Data and Design Analysis Task Force, which collected and analyzed accident-related information in support of the Presidential Commission on the Space Shuttle Challenger accident." "[Thompson] left NASA again in September 1991 and jointed Orbital Sciences Corporation. He served as president and chief operating officer of the company from 1999 until 2011, and he retired in 2013. Thompson is survived by his wife, Sherry Gray Thompson; children James Thompson III, Scott Thompson and Paige Moore; and a number of grandchildren and great-grandchildren. Visitation will be from 11 a.m.-1 p.m. Nov. 13 at First United Methodist Church in Huntsville. The funeral will follow at the church." By Keith Cowing on November 7, 2017 8:38 PM. "The central canard of these attacks is that John McCain did not, in fact, add "Section 1615" to the Defense Authorization Act, which is now being finalized by a conference between the House and Senate. This clause does not exist at all in the Senate language. Rather, it was inserted into the House legislation by US Rep. Mike Rogers, a Republican from Alabama. ... Two sources familiar with the legislation told Ars that Rogers added Section 1615 specifically to benefit Aerojet and its AR1 rocket engine." Continue reading GAO and OIG Agree: NASA CIO Is Underperforming. By Keith Cowing on November 6, 2017 6:58 PM. "... In the long term, NASA's plans beyond EM-2 for achieving a crewed Mars surface mission in the late 2030s or early 2040s remain high level, serving as more of a strategic framework than a detailed operational plan. For example, the Agency's current Journey to Mars framework lacks objectives; does not identify key system requirements other than SLS, Orion, GSDO, and a Deep Space Gateway; and does not suggest target mission dates for crewed orbits of Mars or planet surface landings. If the Agency is to reach its goal of sending humans to Mars in the late 2030s or early 2040s, significant development work on key systems - such as a deep space habitat, in-space transportation, and Mars landing and ascent vehicles - must be accomplished in the 2020s. In addition, NASA will need to begin developing more detailed cost estimates for its Mars exploration program after EM-2 to ensure the commitment from Congress and other stakeholders exists to fund an exploration effort of this magnitude over the next several decades. Finally, NASA's decision whether to continue spending $3-$4 billion annually to maintain the ISS after 2024 - roughly a third of its exploration budget - will affect its funding profile for human exploration efforts in the 2020s, and therefore has significant implications for the Agency's Mars plans. "... The rising cost of the SLS Program also presents challenges for NASA given the program may exceed its $9.7 billion budget commitment. The Agency plans to spend roughly $2 billion a year on SLS development but has minimal monetary reserves to address any technical challenges that may arise for EM-1 or EM-2. According to guidance developed at Marshall Space Flight Center (Marshall), the standard monetary reserve for a program such as the SLS should be between 10 and 30 percent during development. The SLS Program did not carry any program reserves in fiscal year (FY) 2015 and only $25 million in FY 2016 - approximately 1 percent of its development budget. Moving forward, the SLS Program plans to carry only minimal reserves through 2030, which in our view is unlikely to be sufficient to enable NASA to address issues that may arise during development and testing." "... Despite the extension, in October 2015, we reported NASA will not have enough time to mitigate several known human space flight risks for future deep space missions. Accordingly, the Agency needs to prioritize its research to address the most important risks in the time available while also ensuring a spacecraft originally designed and tested for a 15-year life span will continue to operate safely and as economically as possible. While the amount of research being conducted on the ISS has increased over the past 8 years, several factors continue to limit full utilization." "... The selection and balance of NASA's science missions is heavily influenced by stakeholders external to the Agency, including the President, Congress, the science community, and, to a lesser extent, other Federal and international agencies. The President and Congress provide direction through the budgeting and appropriation processes, which has a strong influence on the composition and overall balance of the Agency's science portfolio. The science community - as represented by the National Research Council (NRC) - establishes mission priorities based on a broad consensus within various science research disciplines. These priorities are set forth in the NRC's decadal surveys on the subject matter areas encompassed by the Science Mission Directorate's four divisions ... Managing differing priorities from numerous stakeholders and funding changes on a year-to-year basis (which we described as "funding instability" in a September 2012 report) can lead to inefficiencies, resulting in cost increases and schedule delays that can have a cascading effect on NASA's entire science portfolio." By Keith Cowing on November 5, 2017 11:34 AM. "Dale Andersen sent this message via Garmin inRreach on 4 November 2017 at 8:44 am EDT from: Lat -70.774999 Lon 11.837554: "We are almost ready for the traverse to Lake Untersee but today and tomorrow we will have high winds and blowing snow with white-out conditions so we will remain here in the warmth and safety of the huts located at Novolazarevskaya. ..."
By Keith Cowing on November 3, 2017 5:04 PM. "An extensive report published by the federal government Friday asserts that humans are the primary driver of climate change, causing higher temperatures, sea level rise, agriculture problems and more. The report, the first volume of the Fourth National Climate Assessment, is years in the making, and involved contributions from more than a dozen federal agencies. It is meant to be an authoritative assessment of the current state of climate change science. Many of the report's conclusions directly contradict the Trump administration's positions on climate change." "This assessment concludes, based on extensive evidence, that it is extremely likely that human activities, especially emissions of greenhouse gases, are the dominant cause of the observed warming since the mid-20th century. For the warming over the last century, there is no convincing alternative explanation supported by the extent of the observational evidence. In addition to warming, many other aspects of global climate are changing, primarily in response to human activities." "The report was approved for release by the White House, but the findings come as the Trump administration is defending its climate change policies on several fronts. ... While there were pockets of resistance to the report in the Trump administration, there was little appetite for a knockdown fight over climate change among Mr. Trump's top advisers, who are intensely focused on passing a tax reform bill - an effort they think could determine the fate of his presidency." By Marc Boucher on November 3, 2017 8:32 AM. "SpaceQ has learned that Alain Berinstain, the current Director of Policy for Minister of Transport Marc Garneau, is leaving government to work for the U.S. based space exploration company Moon Express." "Before Berinstain began working for Minister Garneau, he had worked 17 years at the Canadian Space Agency (CSA). He left the CSA in 2013 and at the time was the Director of Science and Academic Development and before that was the Director of Planetary Exploration and Space Astronomy." 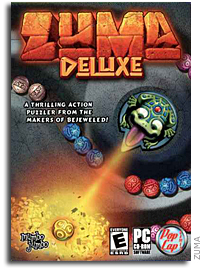 - Moon Express press release.